Despite being to Ireland more times than I can count, I have never properly 'done' Dublin. 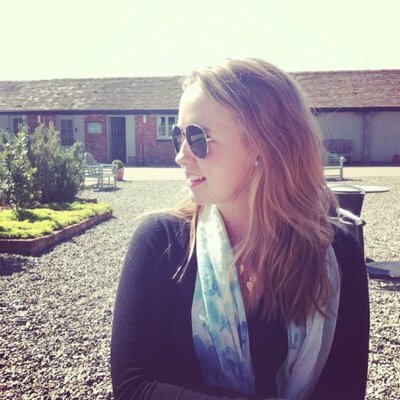 In fact, the last time that I was in Dublin was when myself and a friend drove to Ireland when we were 18. How we managed to travel through the city centre at rush hour and get to where we were staying in time for tea I'll never know! 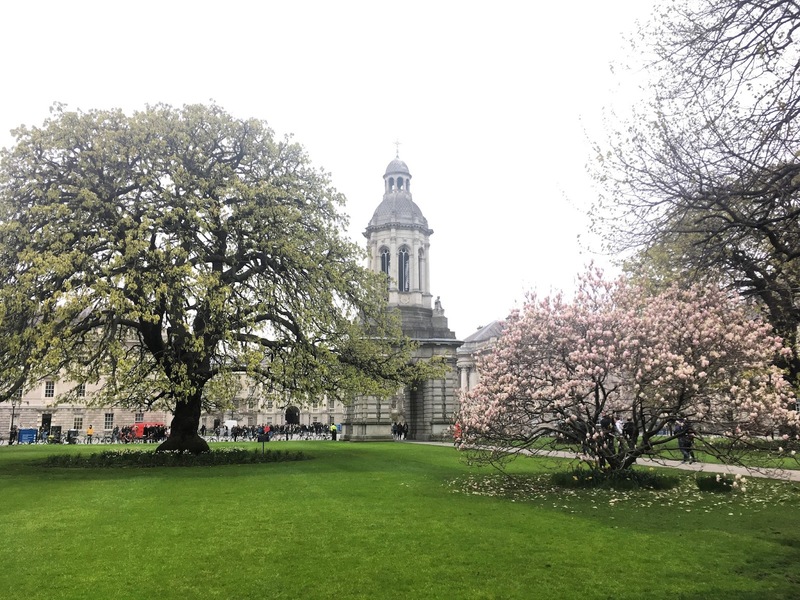 Dublin, Ireland's capital city, is on the east coast of Ireland. 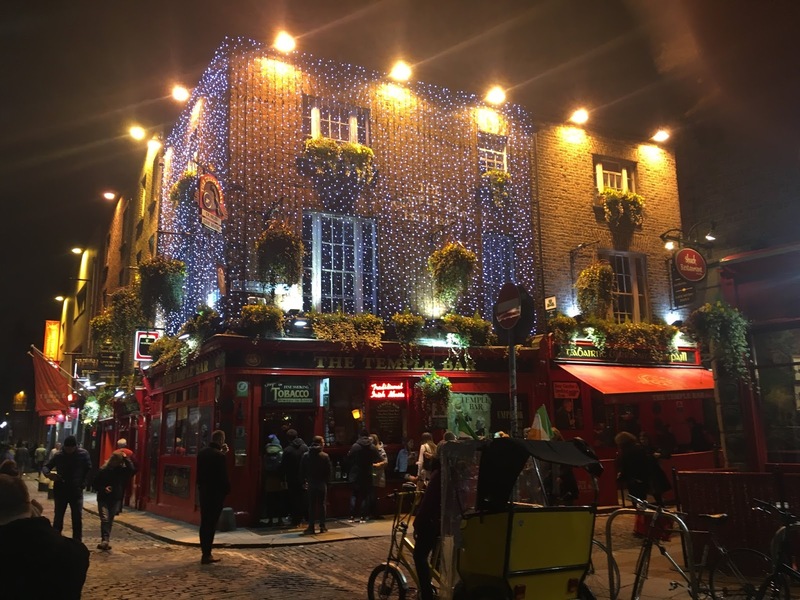 Kelly's Hotel is in a great location, less than a five minute walk from the infamous Temple Bar. We landed in Dublin just after 9am and bought our 'Do Dublin' bus pass for €33. I'm pretty sure that this is the price just so tourists can hear somebody say 'tirty tree' in an Irish accent! I would 100% recommend the Do Dublin pass. It includes 72 hours of airport shuttles, public buses and the 'Hop On, Hop Off' tours. If you are an English speaker then make sure you get the live commentary buses. Not only is is a great way to see the sights, but the drivers are so funny and make the trip even better! Our first stop after checking in was to find breakfast! We accidentally stumbled into the Powercourt Centre which was full of boutique shops and cafes/restaurants. 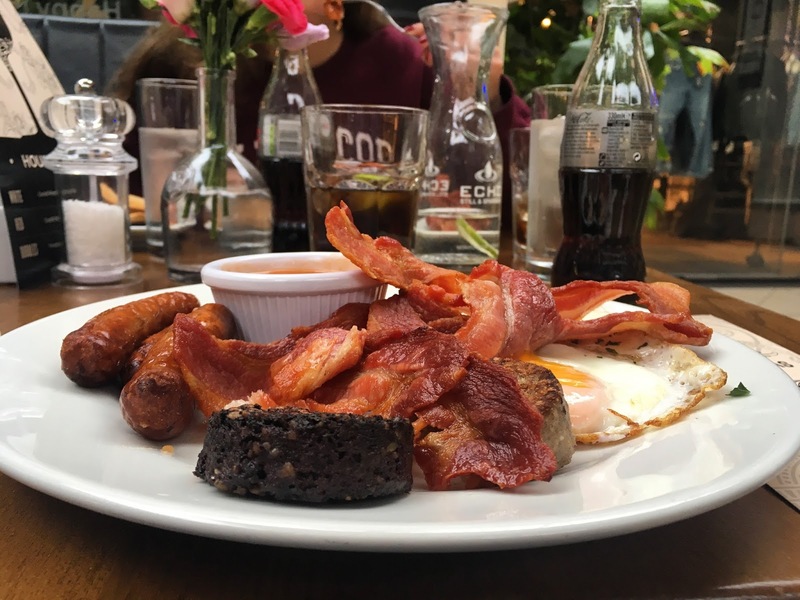 We ate at the Townhouse Cafe and ordered a 'Full Irish'...obviously. We literally inhaled the meal as we were in a rush to get to our next stop, Kilmainham Gaol. Kilmainham Gaol is a former prison that closed it's doors in 1924. 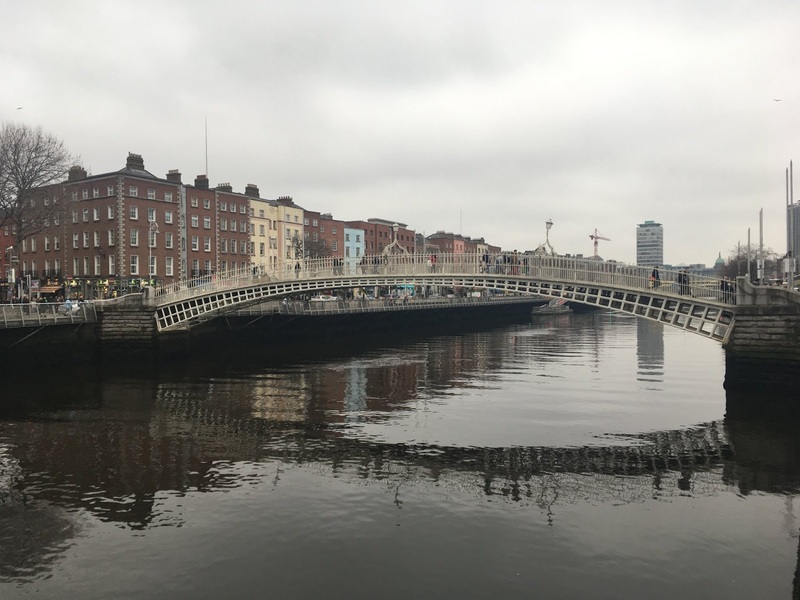 It is probably most famous for holding prisoners following the 1916 Easter Uprising and where 15 men were executed following the uprising. The prison itself does have a broader history that you learn about on your tour. It is informative and moving. If you are brave enough, visit the museum and see the letters that boys, some no older than 18, wrote to their mothers the night before their executions. 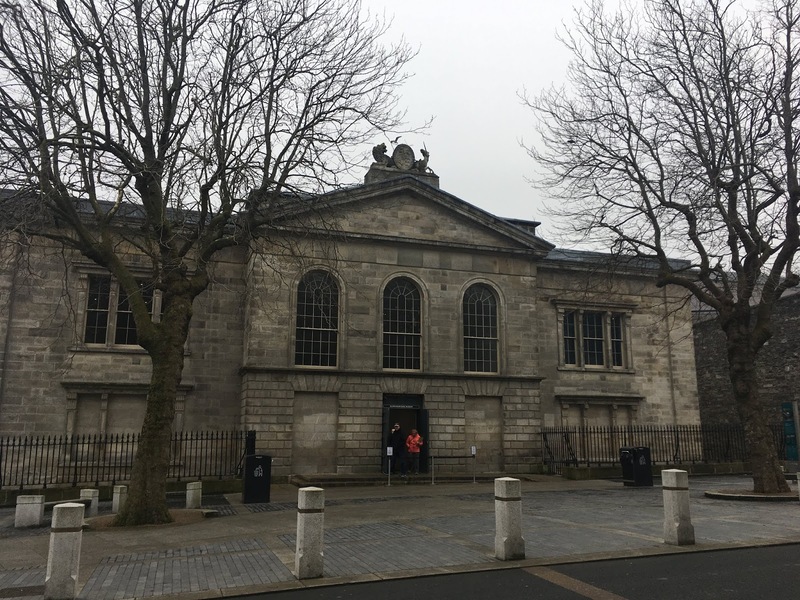 A word of advice...if you want to go to Kilmainham Gaol, it gets booked up very quickly so buy your tickets online before you visit to avoid disappointment. The tour, plus time in the museum, probably takes about 1 1/2 hours altogether. We took the Hop on, Hop Off bus back from Kilmainham to the beginning of the route outside the GPO (General Post Office). That evening, we walked through St. Stephen's Green. 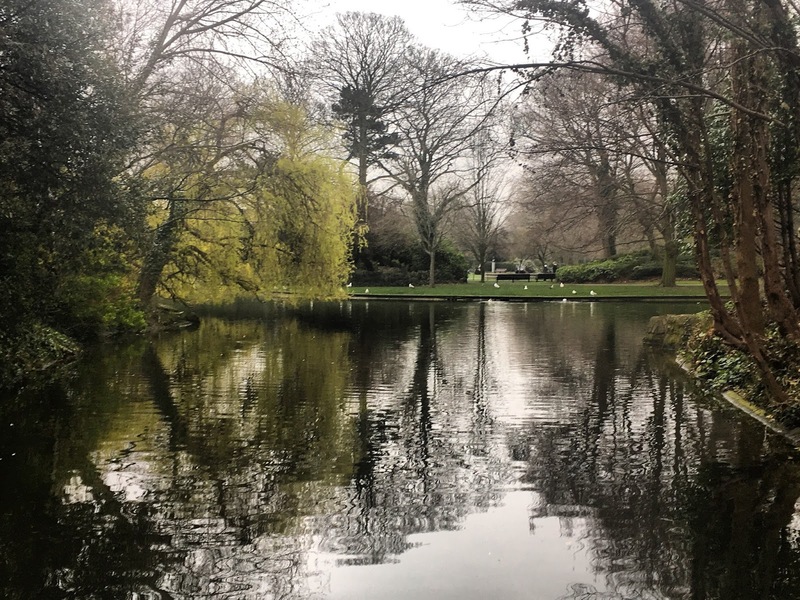 Dublin's parks are gorgeous. Even though Dublin isn't the busiest city, I love how city parks seem to be a (quite literal) breath of fresh air. 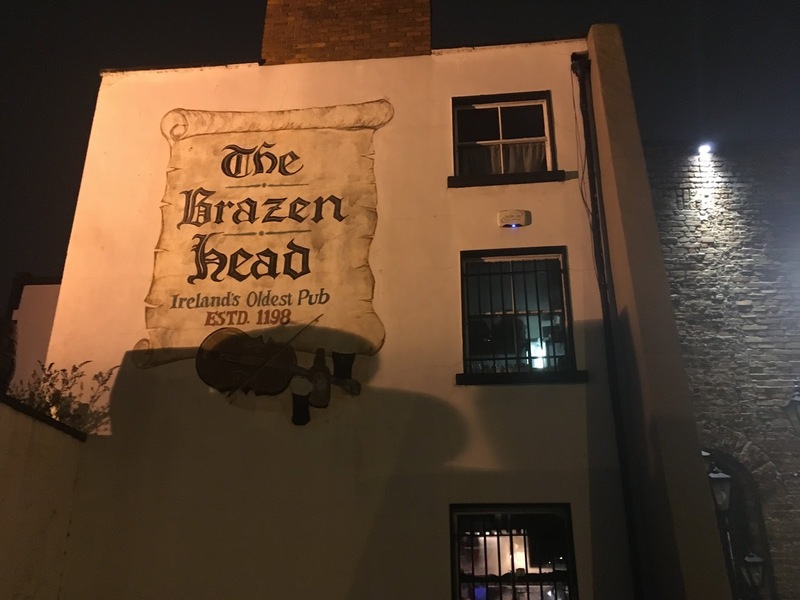 My parents recommend that we visited 'The Brazen Head,' Ireland's 'oldest pub'. Even though it was a Thursday, the pub (made up of lots of different rooms) was packed. We managed to find a little corner table and set up camp. 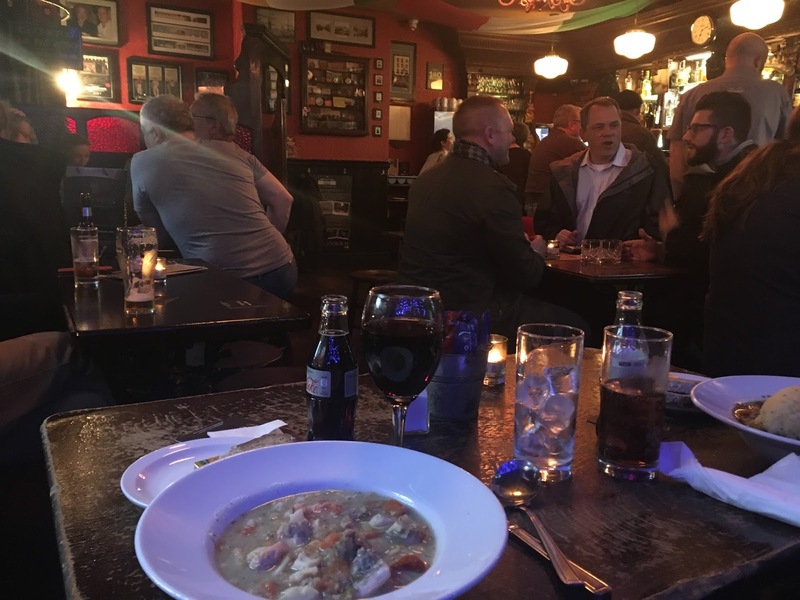 I ordered the Atlantic Seafood Chowder whilst my sister went for the Irish Stew. Every night there is live music. 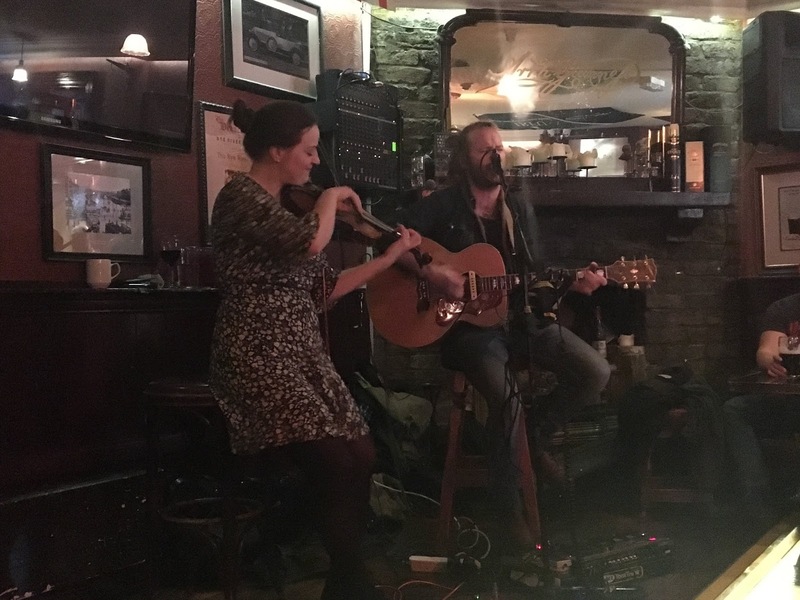 I loooove all the Irish songs so happily stayed and had to drag myself away at the end of their first set (which finished at midnight - I have no idea what time they carried on playing until!) 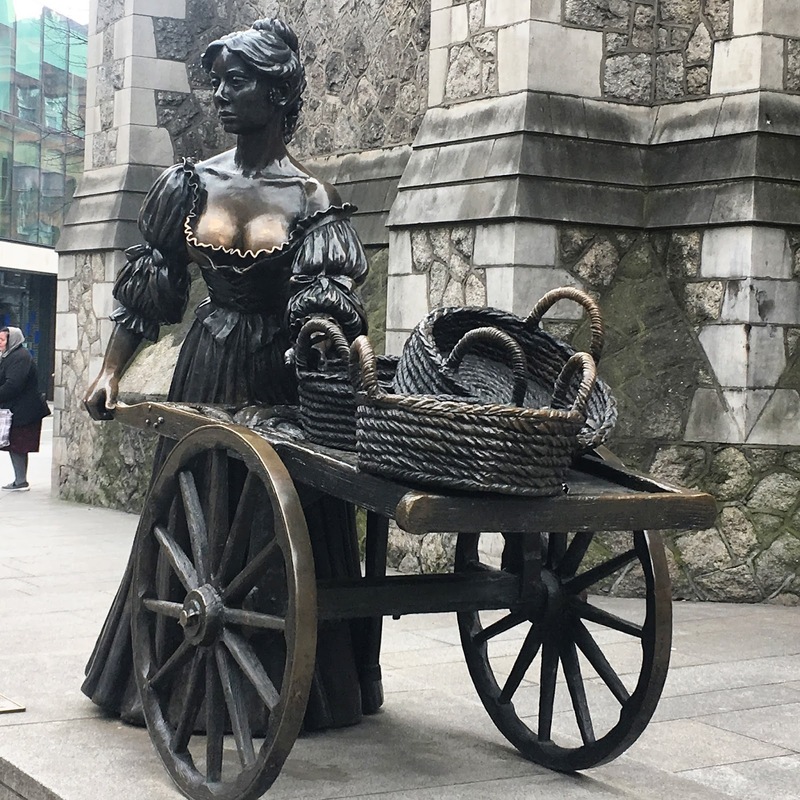 If you have one night in Dublin, I would wholeheartedly recommend visiting the Brazen Head. Our second day began with a trip to the GPO. If you don't know, in 1916 there was an uprising launched by Irish republicans to end British rule in Ireland. Dublin's GPO acted as the headquarters for the Irish leaders of the uprising. 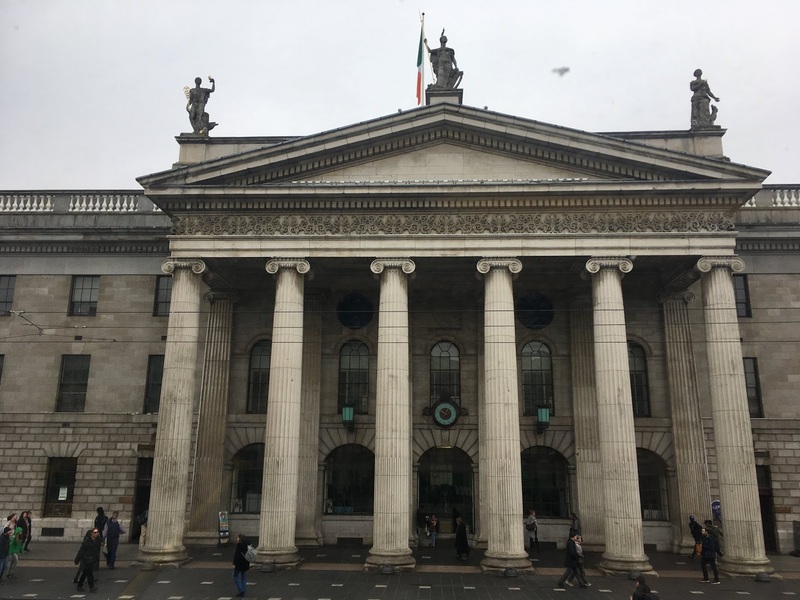 The GPO (which is still the General Post Office) has a museum about the Uprising including a film that helps explain the events of Easter Week 1916. It probably takes just under an hour to visit the museum. The National Gallery of Ireland was our next stop. Only a short walk from Trinity, we managed to visit for the last hour or so before it closed. My sister is the arty one and after being in Paris I was a little worried that I would be 'art gallery'd out' but I actually really enjoyed the gallery. 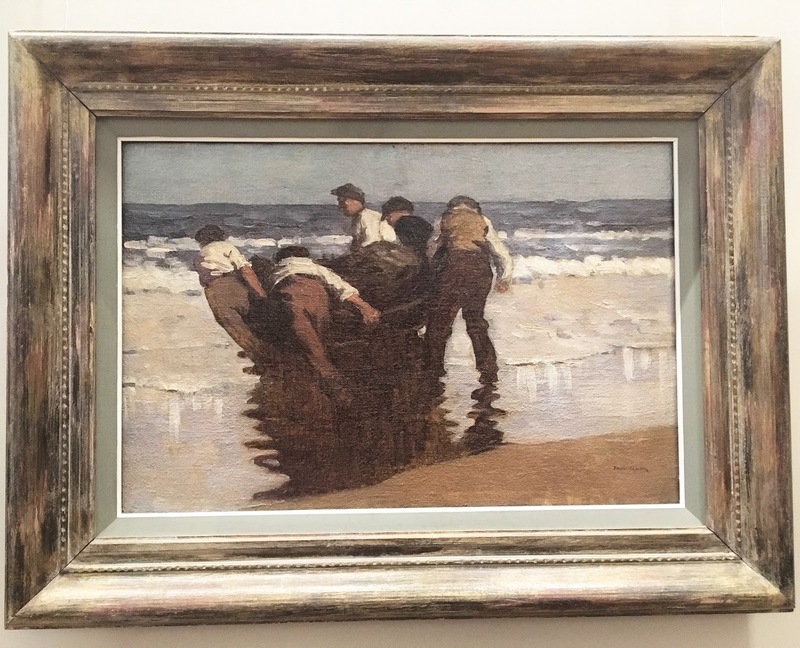 One of my favourite paintings is 'Launching the Currach'. My grandparents had this photo hanging in their house and now we have it. It depicts a scene from where my Nanny is from in Ireland which I think makes it more special. For supper we went to Boxty in Temple Bar. It was amazing! A Boxty is a sort of potato pancake. My Great Granny used to make them for my Mum and her brothers when they were children. I had the set menu (for €20 which was great value). To start I had fish chowder and for my main course I chose the chicken and smoked bacon Boxty. Delicious. 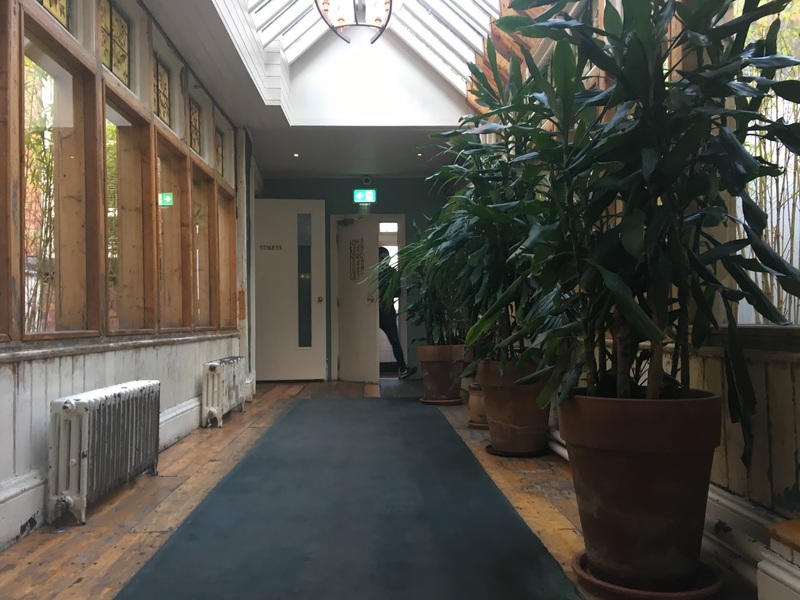 That evening a friend recommended we visit Baggott Street and Dawson Street. We ended up going for drinks at 37 Dawson Street. There was no particular reason we decided on that but the cocktails were great - just request what you want and the staff make it for you! I could have happily visited any of the bars or pubs we passed. We decided to brave Temple Bar afterwards - I feel that it is a right of passage of being in Dublin. We ended up choosing 'The Auld Dubliner' which was heaving. 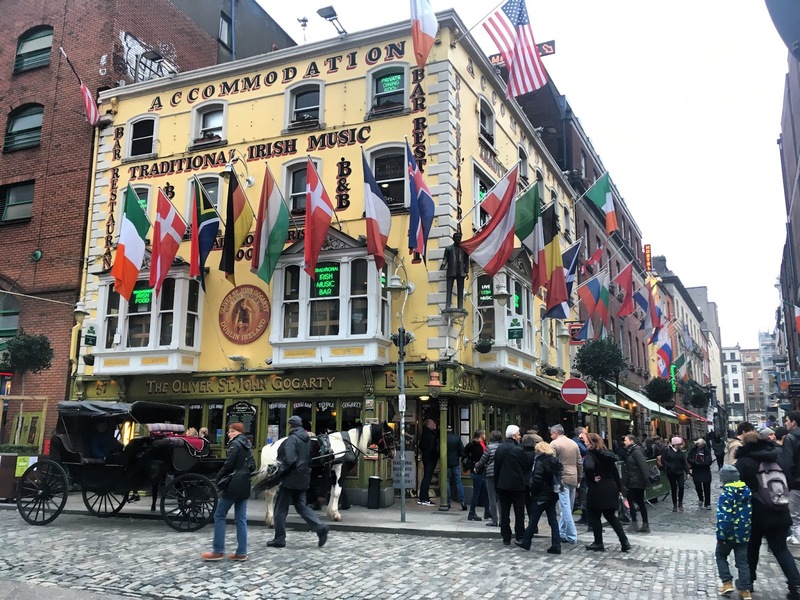 There was live music but it was more 'chart' music than traditional Irish and it was full of tourists but if you're looking for a great atmosphere then Temple Bar is fun. If you're also looking for a queue to get to the bar, drunk people falling asleep at the table and plenty of stag/hen parties, this is the place. Everybody was is great spirits and when the music started to play one of the revellers went around and dragged everybody (literally everybody) onto the dancefloor. My Dad won't step foot in Temple Bar at night and I can see why but if you're young-er (sorry, Dad!) it's worth a visit. 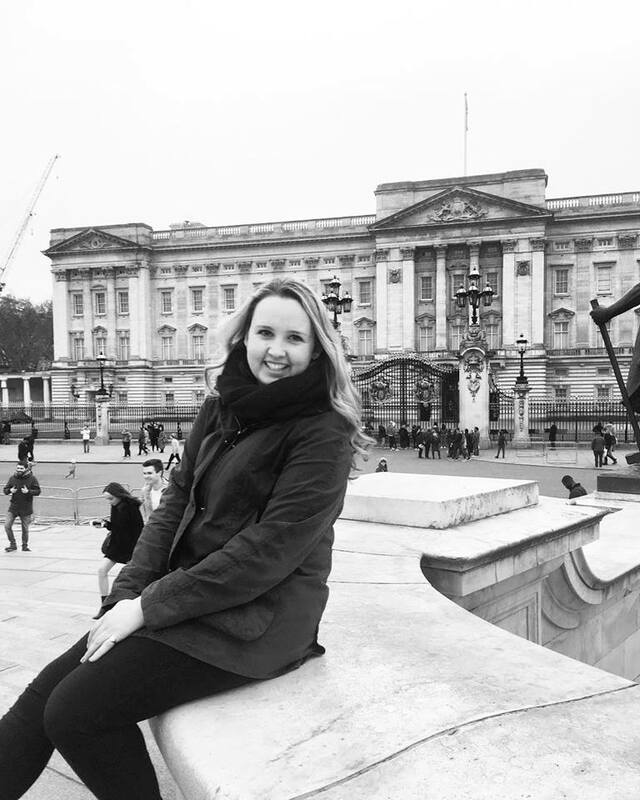 Our flight didn't leave until 8.30pm so we had a full day to enjoy the city...and the sun came out! We went a bit museum crazy. I visited the National Library and searched through some of the archives. There was also a big exhibition about W.B Yeats on. Whilst I was here, my sister went to the National Museum of Ireland - Archaeology. 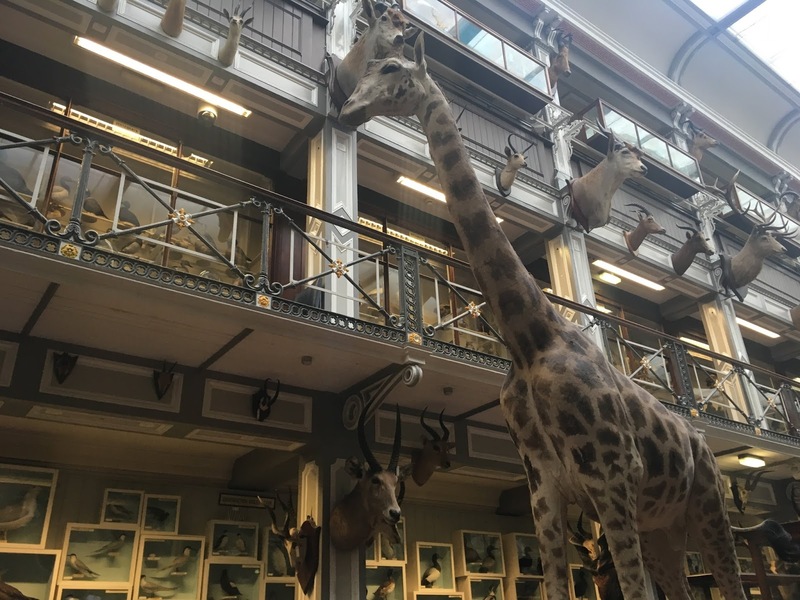 We then met up and visited the National History Museum. The great thing about all the 'National' museums is that they are free so if you only have half an hour to kill you don't have to spend any money! As the weather was lovely, whilst my sister stayed in the museum I walked through Merrion Square Park (I think I've turned into my Grandfather?!) and almost got caught up in a protest that was taking place in the city. We decided to spend our last hour or so doing the rest of the Hop On, Hop Off route that we still had to do. In rain or shine the tour was great and I would really recommend getting the Do Dublin ticket. ...No wonder she caught a fever dressed like that! It sounds like a brilliant mini break! I’ve never been to Ireland (northern or republic) but when I do, I love the sound of the Brazen Head! It really was fab - if you do go the Brazen Head is so worth a visit!